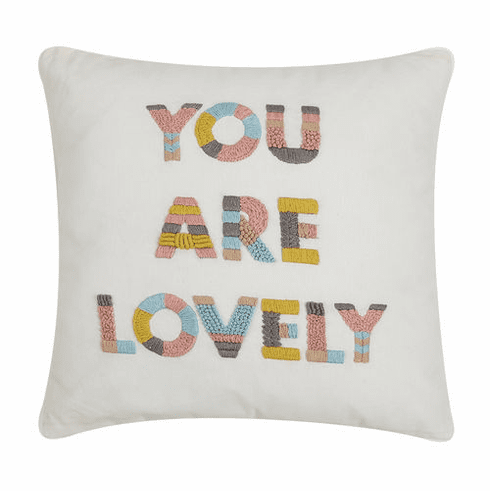 You are Lovely embroidered accent pillow is another one of those daily affirmations we should all be employing....you are lovely, worthy and whole! Let this lovely embroidered decorative pillow serve as a daily "pep" talk to keep you on track you beautiful goddess! Embroidered cotton accent pillow measures 16"sq.